This article is about American medical insurance companies. For other uses, see Blue Cross (disambiguation). Blue Cross Blue Shield Association (BCBSA) is a federation of 36 separate United States health insurance organizations and companies, providing health insurance in the United States to more than 106 million people. Blue Cross was founded in 1929 and became the Blue Cross Association in 1960, while Blue Shield emerged in 1939 and the Blue Shield Association was created in 1948. The two organizations merged in 1982. Headquarters of one of the member Blues, HCSC, in Chicago. In the healthcare insurance industry the organization is known as "The Association" and has two offices in Chicago and Washington. The main office is in Chicago in the Illinois Center at 225 North Michigan Avenue. The Association is the link between all the other Licensees as it controls access to the cross and shield trademarks and the names Blue Cross and Blue Shield. It controls the communications between the different "Plans" that allow all the Licensees to offer national insurance even though each has very defined service areas. The Association also controls the operating policies that each Licensee must follow to be a Licensee. Blue Cross and Blue Shield developed separately, with Blue Cross providing coverage for hospital services and Blue Shield covering physicians' services. Blue Cross is a name used by an association of health insurance plans throughout the United States. Its predecessor was developed by Justin Ford Kimball in 1929, while he was vice president of Baylor University's health care facilities in Dallas, Texas. The first plan guaranteed teachers 21 days of hospital care for $6 a year, and was later extended to other employee groups in Dallas, and then nationally. The American Hospital Association (AHA) adopted the Blue Cross symbol in 1939 as the emblem for plans meeting certain standards. In 1960, the AHA commission was superseded by the Blue Cross Association. Blue Cross severed its ties with the AHA in 1972. Blue Shield was developed by employers in lumber and mining camps of the Pacific Northwest to provide medical care by paying monthly fees to medical service bureaus composed of groups of physicians. In 1939, the first official Blue Shield plan was founded in California. In 1948, the symbol was informally adopted by nine plans called the Associated Medical Care Plan, and was later renamed the National Association of Blue Shield Plans. In the 1960s the U.S. government chose to partner with Blue Cross and Blue Shield companies to administer Medicare. 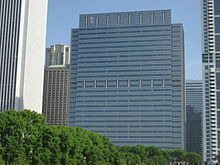 In 1982, Blue Shield merged with The Blue Cross Association to form the Blue Cross and Blue Shield Association (BCBS). Prior to 1986, organizations administering BCBS were tax exempt under 501(c)(4) as social welfare plans. However, the Tax Reform Act of 1986 revoked the exemption, because the plans sold commercial-type insurance. They became 501(m) organizations, subject to federal taxation, but entitled to "special tax benefits" under IRC 833. In 1994, BCBS changed to allow its licensees to be for-profit corporations. During 2010, Health Care Service Corporation, the parent company of BCBS in Texas, Oklahoma, New Mexico, Montana and Illinois, nearly doubled its income to $1.09 billion in 2010, and began four years of billion-dollar profits. In the final spending bill for FY 2015 after much lobbying since 2010, nonprofit Blue Cross and Blue Shield plans continue to have special tax breaks that were understood to be threatened by the Affordable Care Act of 2010. Blue Cross and Blue Shield insurance companies are licensees, independent of the association and traditionally of each other, offering insurance plans within defined regions under one or both of the association's brands. Blue Cross Blue Shield insurers offer some form of health insurance coverage in every U.S. state. They also act as administrators of Medicare in many states or regions of the U.S. and provide coverage to state government employees as well as to the federal government employees under a nationwide option of the Federal Employees Health Benefits Program. Blue Cross of Idaho and Regence Blue Shield of Idaho are separate companies and compete throughout the state. Though historically "Blue Cross" was used for hospital coverage while "Blue Shield" was used for medical coverage, today that split only exists for traditional health insurance plans in Pennsylvania. Two independent companies operate in central Pennsylvania, Highmark Blue Shield (Pittsburgh) and Capital Blue Cross (Central Pennsylvania) . In southeastern Pennsylvania, Independence Blue Cross (Philadelphia) has a joint marketing agreement with Highmark Blue Shield (Pittsburgh) for their separate hospital and medical plans. However, Independence Blue Cross, like most of its sister Blue Cross-Blue Shield companies, cover most of their customers under managed care plans such as HMOs and PPOs which provide hospital and medical care in one policy. ^ a b c d e f g "Form 990: Return of Organization Exempt from Income Tax". Blue Cross and Blue Shield Association. Guidestar. December 31, 2014. ^ "Blue Cross Blue Shield Association - Supporting the 36 Independent, Locally Operated Blue Cross and Blue Shield Companies - BCBS.com". bcbs.com. Archived from the original on 2011-11-05. Retrieved 2011-11-02. ^ "Health Care Service Corporation (HCSC) – Who We Are". www.hcsc.com. Archived from the original on 2016-11-08. Retrieved 2017-01-06. ^ a b Marc Lichtenstein (n.d.). "Health Insurance From Invention to Innovation: A History of the Blue Cross and Blue Shield Companies". Blue Cross and Blue Shield Association. ^ "History of Blue Cross and Blue Shield Association – 1980s". Blue Cross and Blue Shield Association. Archived from the original on September 26, 2009. ^ "Nonprofit Health Inc.: Overview of issues in the protection of nonprofit assets - Blue Cross: 501(m)". Consumers Union. 1 January 2008. Retrieved 18 December 2014. As of January 1, 1987, the federal government removed the full tax-exempt status of BCBS plans and instead created a special tax class for BCBS organizations, Internal Revenue Code ("I.R.C.") 5833. That I.R.C. category subjected BCBS plans to federal taxation but recognized the unique role BCBS plans play, unlike commercial for-profit insurers, and entitled it to special tax benefits. ^ 26 USC § 833 – Treatment of Blue Cross and Blue Shield organizations, etc. | Title 26 – Internal Revenue Code | U.S. Code | LII / Legal Information Institute law.cornell.edu. Retrieved on 2013-09-05. ^ "Blue Cross parent boosts profit in second quarter". Crain's Chicago Business. Crain Communication, Inc. 3 September 2013. Retrieved 18 December 2014. ^ Pear, Robert (December 14, 2014). "In Final Spending Bill, Salty Food and Belching Cows Are Winners". NY times. Retrieved December 18, 2014. ^ Health Insurance Facts | Smarter Consumers of Healthcare. Health Harbor. Retrieved on 2013-09-05. ^ "Insurance Programs". United States Office of Personal Management. Archived from the original on 2011-06-11. ^ "Contact Us". Blue Cross and Blue Shield Association. Archived from the original on January 10, 2007. Retrieved December 23, 2009. ^ a b c d "Contact Us". anthem.com. Retrieved 6 September 2016. ^ "Florida Blue – New Name of BlueCross and BlueShield of Florida" (Press release). PRNewswire. April 2, 2012. Retrieved April 27, 2012. ^ "Blue Cross and Blue Shield, A Historical Compilation" (PDF). Consumer Union.